One of the questions we are most asked is by people who have limited time visiting Britain; who want to see as much as possible of London and other cities and also as much as possible of the rest of England, Scotland and Wales, plus sometimes a trip over to Ireland. Well the simple answer it is about balance of time and the single biggest mistake is to dedicate too much time to London and not enough time to the rest. London is a magnificent city, but most of the classic landmarks can bee seen in a day and there are excellent tours that include all and are far better value than visiting separately. Please see below with some ideas. This can be topped up with an evening at the theater and dinner, which combined with the day tour will leave you feeling you have achieved much and had a full flavor of London. Some will find this enough, other may wish to add on one or more days to visit museums and galleries and experience more night life, but if you have say 11 days to play with, then just 3 in London will work and then 8 touring Britain will achieve much. What is the most visited London Attraction? Seeing the Crown Jewels – Enjoy the spectacular display of the Crown Jewels, revealing these priceless treasures like never before. The Crown Jewels, part of the Royal Collection and still regularly used by The Queen, include some of the most extraordinary diamonds in the world. Please email for Tower of London tours, including an option for a private visit when the Tower is closed to see the crown jewels and avoid the queues. What is the best way to see as much of the rest of Britain and possibly Ireland in 7 days? By far the best value is an organised tour that includes accommodation, meals and entrance costs (avoid queues on the day). There are a number of excellent options for these types of tour and we have found two outstanding 7 day options, one that includes England, Scotland and Wales and another that also includes Ireland – all in 7 days! Please see below for more information. What is the most visited out of London Attraction? The best value way to see Stonehenge from London is by organised tour and here are some Stonehenge Tours Examples. If I book say a 8 day tour of Britain, can I add on 1 or more days in London? This is a question we are often asked and the answer sadly is not many, indeed we only know of one that visits this magnificent Tudor Palace and please see below for further details and also another way to get to Hampton Court if no tour dates work for you. The first tenant we know much about was the courtier Giles Daubeney, who took out a lease on the property in 1494. Daubeney was on the way up (he became Lord Chamberlain to King Henry VII the following year), and needed a house close to London. The area around Hampton was also becoming more popular with the royal family as Henry VII set about rebuilding the royal lodgings at Sheen as Richmond Palace. Daubeney’s choice of Hampton Court was rewarded by a series of visits from the royal family. Henry VII and his queen stayed there on a number of occasions and seem to have particularly favoured Daubeney’s country residence as a peaceful retreat away from their London homes at Westminster and the Tower of London. Whilst tours are very limited there is good news as Hampton Court is just a 36 min train journey from London Waterloo and once there you just cross the bridge and you will be at the Palace Gates. 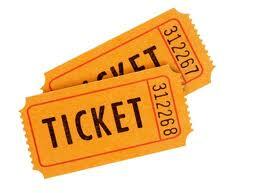 You will also find below a link for advanced tickets which is always a good idea to avoid queues when there. Here is the link for National Rail Enquiries where you will find all the information you need, please do note though, be careful to pick the train that does not require a change of trains, you want the 0 changes direct train. This is a regularly asked question for those who do not travel well on coaches, or prefer the added comfort and scenic views by rail. Good news, yes there is is an excellent train tour that visits Windsor, includes entrance to Windsor Castle and also an excellent Open Top Bus Tour of the town. Please see below for more details. The size of the Castle (5 hectares/13 acres) is breath taking, in fact it is the largest and oldest occupied Castle in the world and it’s where Her Majesty The Queen chooses to spend most of her private weekends. Windsor Castle offers something for everyone, and with so many areas to explore please allow at least 21/2 to 3 hours to see it all. We are at that time of year again when mainly gentlemen are looking for something special and unique to impress the ladies and we are asked every year have we got any suggestions. Well yes we have, we think we have found a delightful day out on a vintage Pullman train, touring stunning rural locations whist being served Champagne and an amazing 5 course lunch, please see the bottom of this blog for more details and good luck chaps charming your special lady and ladies have a lovely time being spoiled. Extract from The Pullman Society …. Many cars survive in preservation, most notably on the Venice Simplon-Orient-Express mainline operation, but also on the various preserved railways up and down the country such as the Bluebell Railway, Kent & East Sussex Railway and North Yorkshire Moors Railway, who operate Pullman dining trains. For lovers of Belgium Chocolate a visit to London is never complete without a quick Eurostar journey to the stunning and quaint city of Bruges including a visit to the World Famous Choco Story – The Chocolate Museum. We are often asked if we can find a suitable overnight tour to this lovely elegant city and are pleased to say yes, we have found a great value tour, please see below for details. On any trip to Great Britain an absolutely not too be missed corner is magnificent Scotland. Steeped in history; its boast a glorious ancient capital Edinburgh, beautiful Loch and Glens, the stunning Highlands and an array of enchanting Islands. Scotland is one of the most visited parts of the UK and a question we are always asked is am I better taking an all inclusive tour from London by train, or better off making my own way to Edinburgh or Glasgow by plane or train and commencing a tour from one of those locations. Well the simple answer is both have attractive features. For those where time is no object, then the leisurely train journey is charming and scenic, or alternatively there is the overnight sleeper option where you can enjoy dinner and a great nights sleep. Flights from London only take about an hour and less from regional airports so this is a quick and easy way to reach Scotland and is often cheaper than the train. Certainly it is well worth a day and overnight stay in both these magnificent historic cities. There are excellent 3 day tours from London including train, Edinburgh and a trip to the highlands, plus all accommodation, please see blow a great example. Very popular is the 3 day option from Edinburgh or Glasgow to Loch Ness, the Highlands and the amazing Isle of Skye (please find link below), or you can choose to take extra days exploring the rest of Scotland, islands and famous Whiskey Tours.